“Killing Eve” is a great TV show because it’s different and refreshing. Imagine Bond, only if he was the bad guy, a she, and a total sociopath/psychopath. Our intrepid hero, also a she, an older Asian woman to boot (something one NEVER sees on TV) on a worldwide hunt/chase for this evil Bond using only her wits and no weapons, special gadgets, or any of the usual tropes one sees in these sorts of shows/movies. Throw in British style black/deadpan humor/snark, and you pretty much have a winner. One of the best new shows on TV this season. Written by Phoebe Waller-Bridge, the adaptions of the novellas by Luke Jennings follows the cat-and-mouse chase by MI5 security officer Eve (Sandra Oh) for the international assassin, who goes by the codename Villanelle (Jodie Comer). 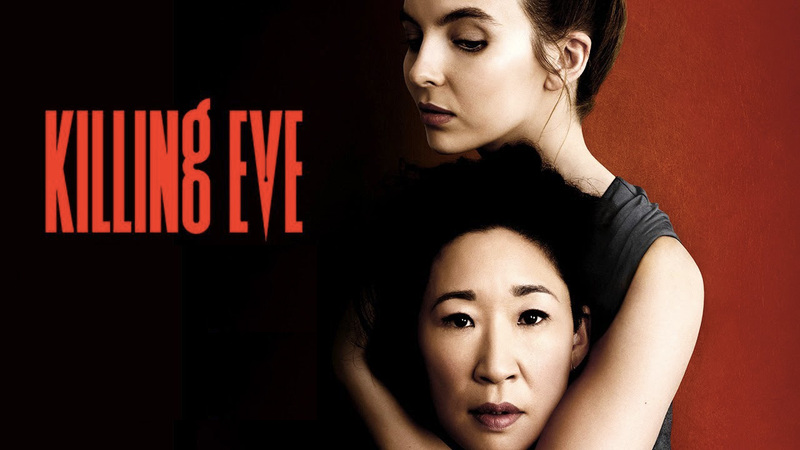 What surprises and delights here is that the old trope of cat and mouse, Spy v Spy is given a 360 degree turn and works so well that Killing Eve becomes your new obsession ! From the casting of two mesmerizing actresses in the leads to the charismatic writing and high production values of the show, (even the music will knock your socks off), you cannot predict what old Spy Icon will be banished and replaced with a thrilling, new episode.